We know that catering for large numbers of students and staff is a time-demanding process, and that they are always looking for a wide variety of choice as well as tasty and easily-consumed products. Here is a terrific addition to your menus, one that’s already hugely popular throughout many locations across Melbourne and the surrounding areas. 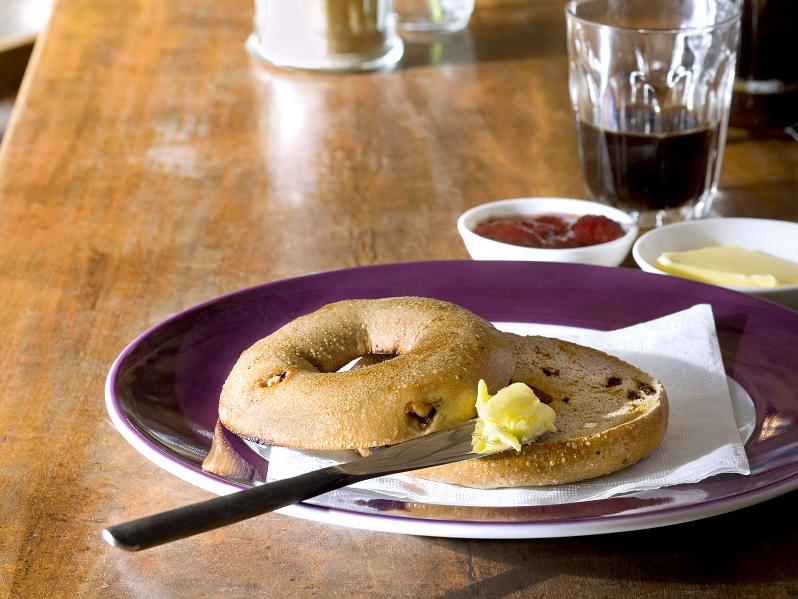 Whether a traditional plain or poppy seed, savoury seven grain or onion, even a blueberry dessert style, and so many more great options, our lovingly produced bagels are great menu choices. We also offer gluten free and other choices including s chia. Our New York style authentic bagels use the best of Australian flours and both local and carefully selected imported ingredients, and are produced to HACCP food safety accredited standards. Each bagel is boiled and baked using an 18 process to produce their amazing taste and texture. With a quarter of century of bagel production here in Melbourne, we deliver fresh every day. You can also use our frozen par bake products – in various sizes, and so quick to thaw and use, or ready for the toaster. To find out more, or to open an account, simply email us at sales@nybagels.com.au or call 03 9878 4228 now.